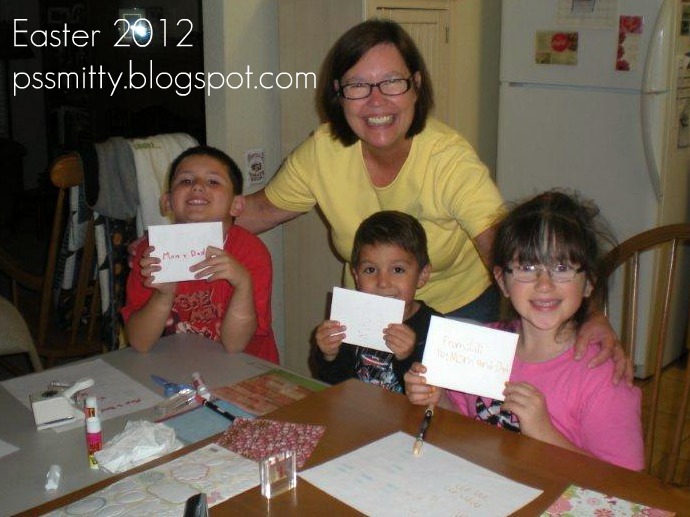 Making cards with kids is so much fun! This is my niece who is 8 and my nephews who are 3 and 6. This is the first time we have made cards together. We used some fun stickers, wrote with markers, punched out some ducks & flowers and did some stamping. They were so excited to choose the stickers & stamps & papers! I know I have started a new tradition with them and it will bring joy to all of us. Sorry they won't show the cards but they want them to be a surprise for their parents! So cute! I love those little smiles.